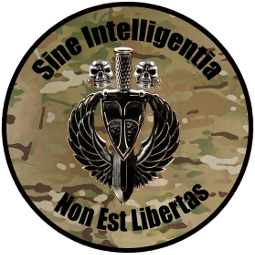 Current Special Forces doctrine is very limited concerning the conduct of guerrilla warfare combat operations in urban environments. The focus of the current doctrine is on conducting combat operations in rural environments. The material available on urban environments is defined in broad terms primarily focused on the larger picture of unconventional warfare. Some considerations and characteristics of urban tactical operations are addressed but are so general they could be applied to a conventional infantry unit as easily as to a guerrilla force. Traditionally, Special Forces guerrilla warfare doctrine has focused on its conduct in a rural environment as historically, most guerrilla movements have formed, operated, and been supported outside of the cities. Increasing world urbanization is driving the “center of gravity” of the resistance, the populace and their will to resist, into urban settings. As populations have gravitated to the cities on every continent, the ability to prosecute a successful guerrilla war has often depended on the ability to conduct combat operations in these environments. Predominantly, the aspects of unconventional warfare that were executed in urban settings were those such as intelligence activities, recruiting, sabotage, or subversion. Guerrilla warfare combat operations were done in urban environments only when absolutely necessary.